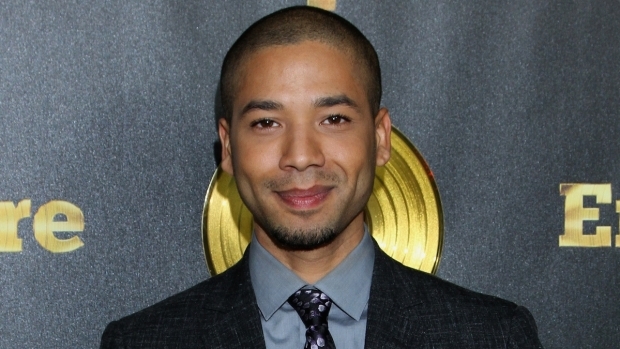 Emmy-nominated actor jokes "Kardashian-Size Wedding" could be next. 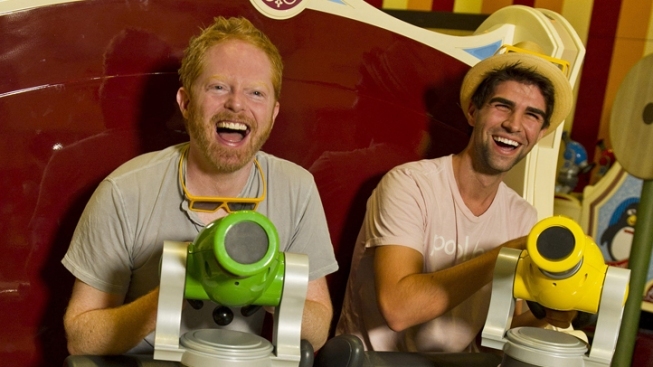 In this file photo, "Modern Family's" Jesse Tyler Ferguson joins boyfriend Justin Mikita for a ride aboard Toy Story Mania! at Disney's Hollywood Studios in Florida. Jesse Tyler Ferguson and his longtime boyfriend Justin Mikita are getting married! "The Modern Family" star announced today that the two are engaged. "It's true--I popped the big Q!" Ferguson, 36 says in a new video for Tie the Knot, the couple's new line of bow ties benefiting gay rights organizations. Mikita, 27, pops into the vid to exclaim, "I said yes!" Tie the Knot will feature a collection of bow ties designed by the husbands-to-be. "The definition of marriage cannot be disputed. It's right there in black and white and it's been the same since the start of Wikipedia," Ferguson says, smiling. "We want our interpersonal relationship to be acknowledged in a union formalized via a wedding ceremony. "But we're just like millions of Americans who are denied the basic civil rights to marry the person that we love," he said. Ferguson also adds, "Who wouldn't want to see us get married? We're as cute as puppies." Ferguson and Mikita, an attorney, have been together for two years. Ferguson told us in March that they had already been talking about getting hitched. "I'm all about something very simple with a small select group of people," he said, before cracking, "I think Justin has different ideas. He's more of a Kardashian-size wedding."